As you probably already know, we really love to visit Ghost towns. 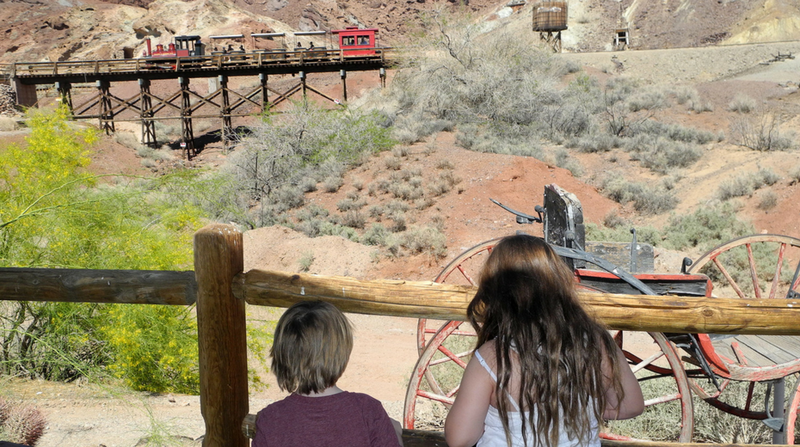 On our frequent trips to Vegas from Southern California I was always allured by the signs to visit Calico, an authentic Old West mining town turned Ghost Town. Just a few miles off the 15 freeway outside Barstow, this place is worth planning a few hours to stop by, grab lunch and a cold one, and explore the old town that was the real-world inspiration for Knott’s Berry Farm’s very own Ghost town. Oh yeah, and don’t forget to have your mind blown and take some awe-worthy photos at the Calico Mystery Shack!